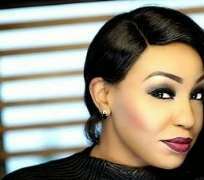 Nollywood actress, Rita Dominic, is not moved by what people say about her being single without a man in her life since it is not boosting her bank account. The actress has so far been able to maintain her good looks and she continues to make some men and even women salivate whenever she steps into any event. Over time, the actress has been able to maintain a high personality for herself and that has been paying off for her and she sure knows how to complement her beauty with a smile to bring out that warmth in her. Rita rather than rush to movie locations just to make more money, she is now very picky on the kind of scripts she now accepts as she also creates time to produce her own movies to her own taste.